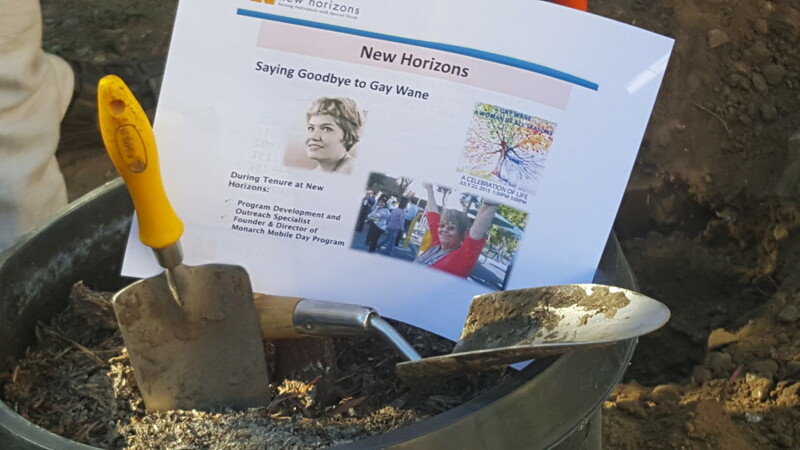 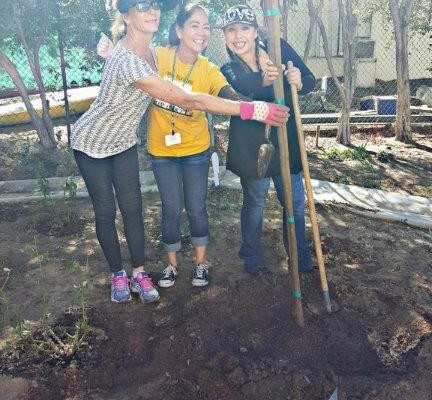 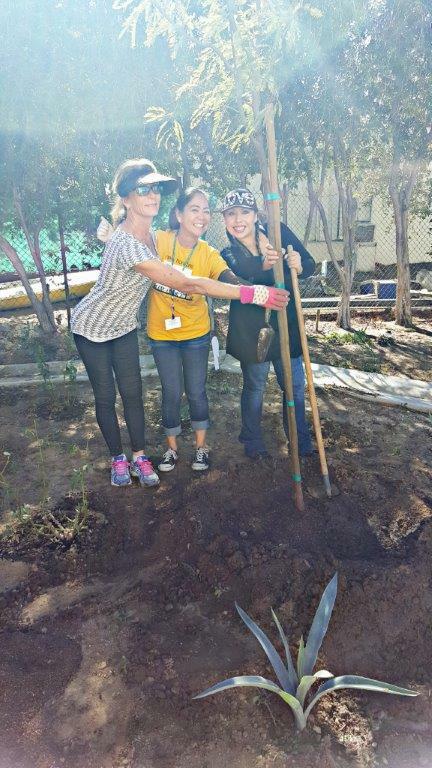 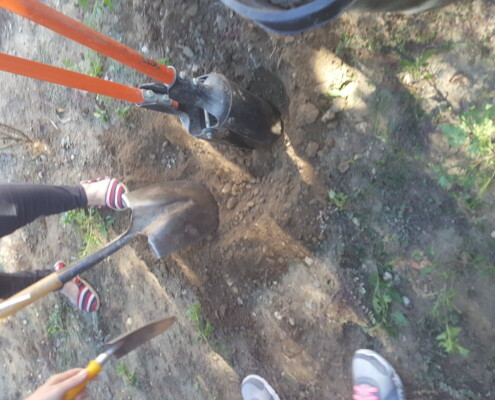 New Horizons honored Gay Wane with the planting of a tree on the agency’s North Hills campus. 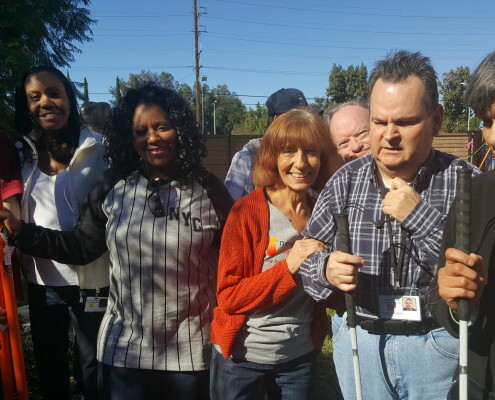 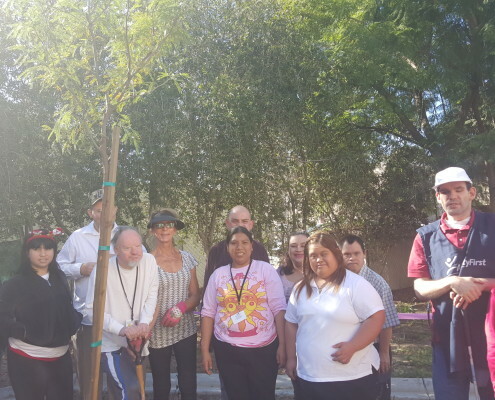 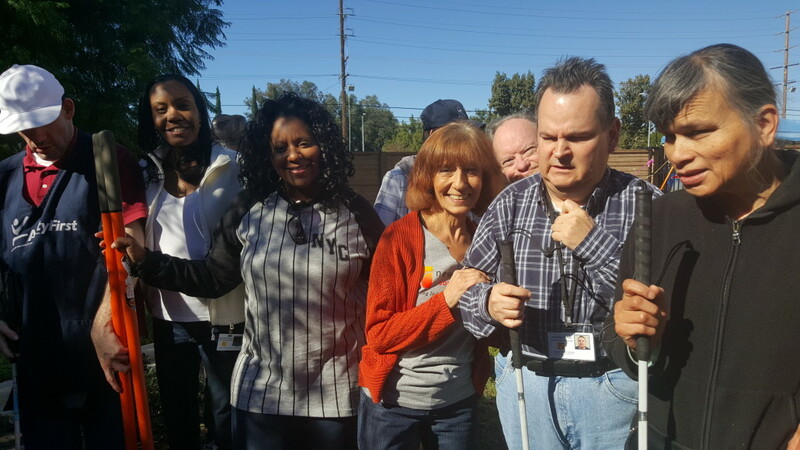 The small ceremony, which benefited from a beautiful Southern California day, was attended by staff and clients alike, who helped to place the evergreen directly in front of the administrative building where all who visit the campus can easily see it. 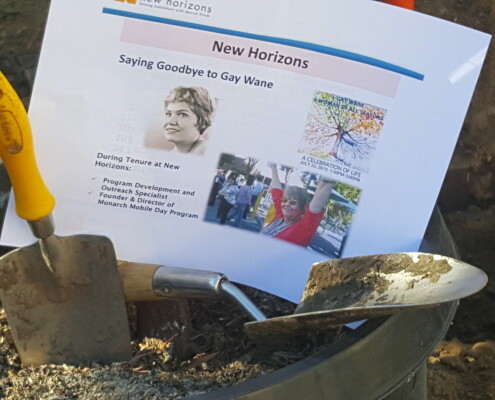 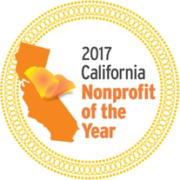 During her tenure at New Horizons, Gay held the title of Program Development and Outreach Specialist and was the founding Director of the Monarch Mobile Day Program. 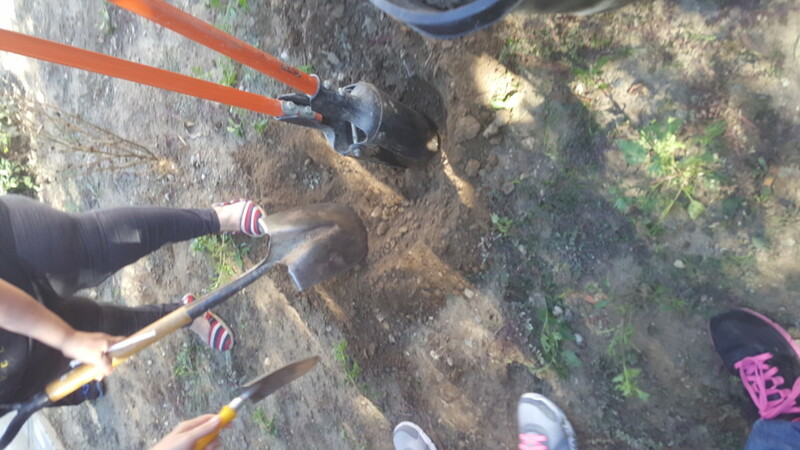 The tribute was made in loving memory. 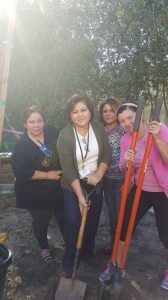 For all she did for the clients and staff she is greatly missed!